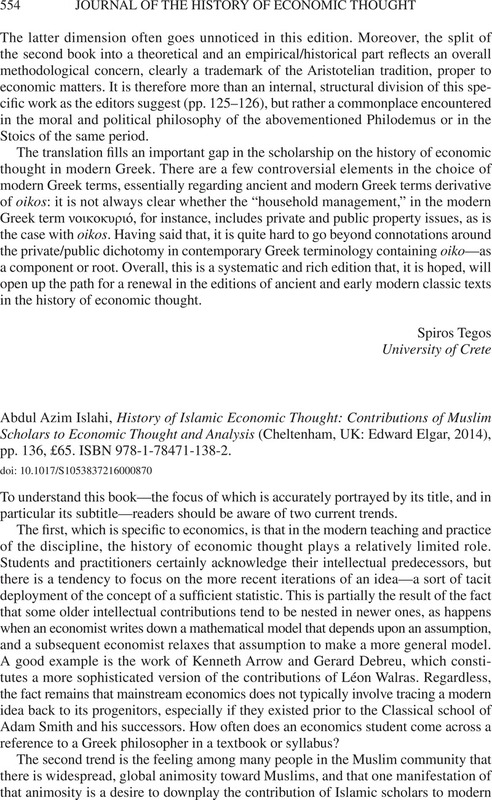 Abdul Azim Islahi, History of Islamic Economic Thought: Contributions of Muslim Scholars to Economic Thought and Analysis (Cheltenham, UK: Edward Elgar, 2014), pp. 136, £65. ISBN 978-1-78471-138-2.